Take a drive around the agricultural areas of the Fourmile Creek watershed in the Spring, and you are sure to see small areas of pooled water in the fields. These are called prairie potholes and are an important natural feature in the Polk County landscape. 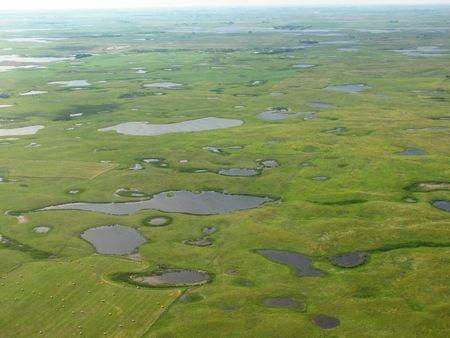 Prairie potholes were created by glaciers moving across the Midwest over 10,000 years ago! As the glaciers retreated, they left small indents in the landscape that now collect water from snow melt and rain throughout the year. These round depressions provide vital habitat for wildlife, help keep excess pollutants out of our surface waters, and store water for potential flood reduction. Prairie potholes are considered temporary wetlands, which often dry up and are almost non-existent during drought or dry times of the year. Unfortunately, many of prairie potholes are being destroyed due to increased agriculture and urban development. Tile is placed through the potholes to drain them, making the area more suitable for crop production. During development they are often filled in, so buildings and streets can be built. This usually causes drainage issues for the landowner. Deposition of sediment and pollutants from adjacent crop fields and cities has also led to less desirable habitat for our wildlife and plant communities that rely on these areas. There are many ways landowners can begin to restore prairie potholes and bring this vital habitat back to Polk County’s landscape. This process is relatively simple and usually involves taking the ground out of crop production, removing the soil that has washed into the pothole over the years, and planting native wetland vegetation. Another important aspect is removing or rerouting the tile drainage (if present) so the wetland does not drain. When looking at how to protect prairie potholes from future development, identifying them beforehand and creating ordinances to protect them is key. Once identified and preserved, the wetlands could serve as city park locations with trails and other amenities for Polk County residents. 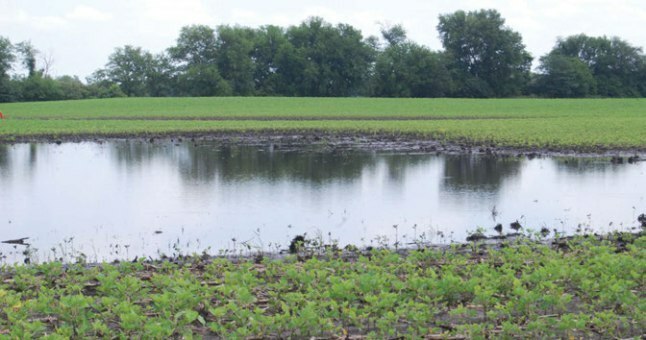 Utilizing government programs such as the Conservation Reserve Program (CRP), private landowners can get part of the restoration costs paid for and even receive a payment each year just for taking the land out of crop production. If you are interested in learning more about prairie potholes or would like to restore one on your land, contact us today!